Nairobi — The East African Community will be fully represented at the African Cup of Nations (AFCON) in Egypt in June after Tanzania beat Uganda 3-0 at the National Stadium in Dar es Salaam to qualify. Heading into the final round of qualification matches, Tanzania needed to beat hitherto qualified Uganda and hope Lesotho fail to win against Cape Verde. 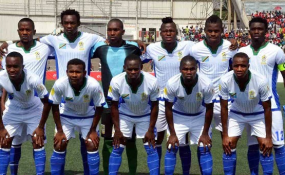 This went to script with Lesotho drawing 0-0 with cape Verde while in Tanzania, the Taifa Stars picked a comfortable victory to qualify for their first Cup of Nations since 1980. Simon Msuva gave the hosts a 1-0 lead at halftime before Erasto Nyoni doubled their advantage a few minutes into the second half and Aggrey Morris sealing the win with a header a few minutes later. With Kenya and Uganda having qualified and Burundi having sealed their first ever qualification on Saturday, the CECAFA region will have four representatives at the biennial championship.